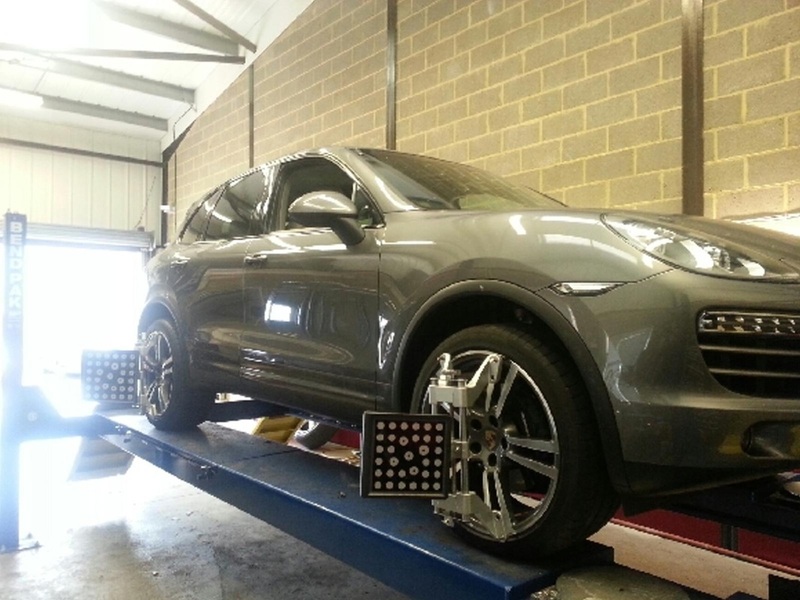 What you can expect from a Four Wheel Alignment Check? We will establish that the car is alignable - i.e. a pre-alignment check. The detail of this check may be model specific, but would ensure that Tyre pressures are checked, Tyre wear highlighted any worn steering or suspension components are identified. A full four-wheel measurement and diagnosis of all 12 - 14 angles. Presentation of a 'Before' printout. Problem areas identified and highlighted with you, the customer. In the majority of cases the adjustment of front individual toe and straightening the steering wheel is part of the standard alignment measurement. The Check may uncover other problems and we will be able to explain these to you and give you the information needed to make an informed decision as to whether you need further adjustments. A common problem that causes misalignment is the Camber Angle. The camber is the angle of lean IN or OUT of the road wheel from the true vertical. Fuel consumption reduces as the drag on the tyres (rolling resistance) decreases. Four wheel alignment sets the wheels straight/parallel, which along with correct tyre pressures, minimizes the rolling resistance. By preventing premature tyre wear (and early tyre disposal) and improving fuel economy/ CO2 emissions, it not only reduces the cost of motoring - putting more money in your pocket, but helps the environment too! If you have any further questions regards wheel alignment you can call us on 01189 313737 and a member of our team will be happy to help.